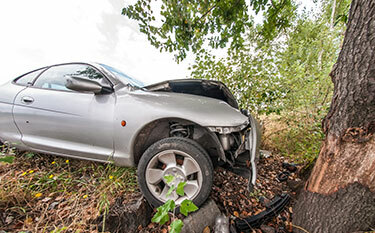 Houston, TX (March 28, 2019) – A woman and child are dead and her other child is in critical condition after a single-car crash in east Houston. The car accident happened Wednesday around 9:00 p.m. near the intersection of Alderson and Nancy Rose. The woman was driving a Hyundai Elantra with her two boys heading westbound on Alderson, when she veered off the road and crashed into a tree. Authorities said no one was wearing a seatbelt. Authorities found the woman dead on the scene. The 8-year-old passenger was in the front seat. He was taken to Lyndon B. Johnson Hospital where he later passed away. The 13-year-old son in the backseat was transported to Memorial Hermann Hospital in serious condition and is expected to survive. Crash investigators are working to determine the cause of the accident. They believe speed was a factor and the woman did not make an effort to use her brakes. Investigators are waiting on reports to determine if the woman was intoxicated during the incident.